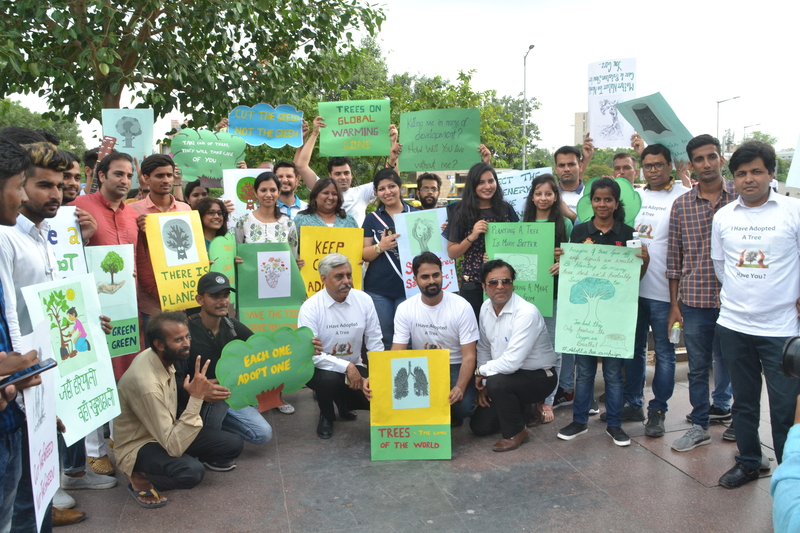 “Each one Adopt One” was the popular slogan shouted out by the volunteers who joined hands with Sabakuch.com in their “Adopt a Tree” Initiative and formed a Human Chain. The reason was simple – bring awareness and spread the message. 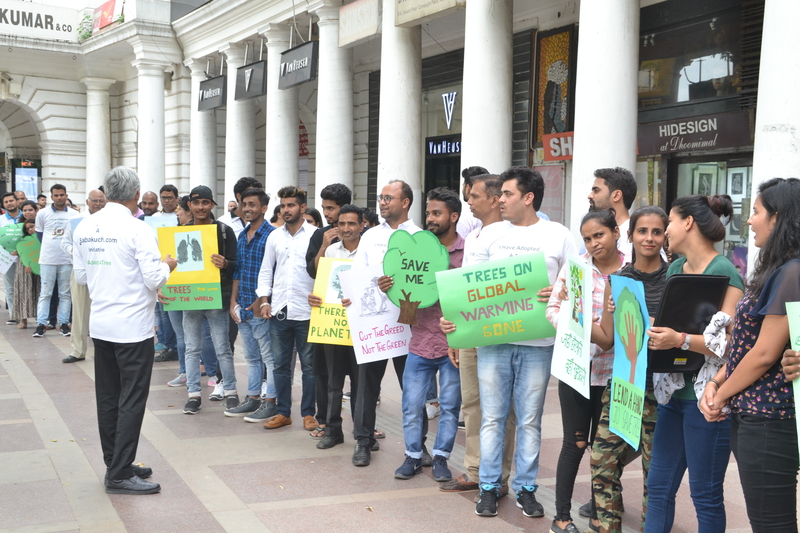 This human chain was formed in the heart of Delhi, Connaught Place. 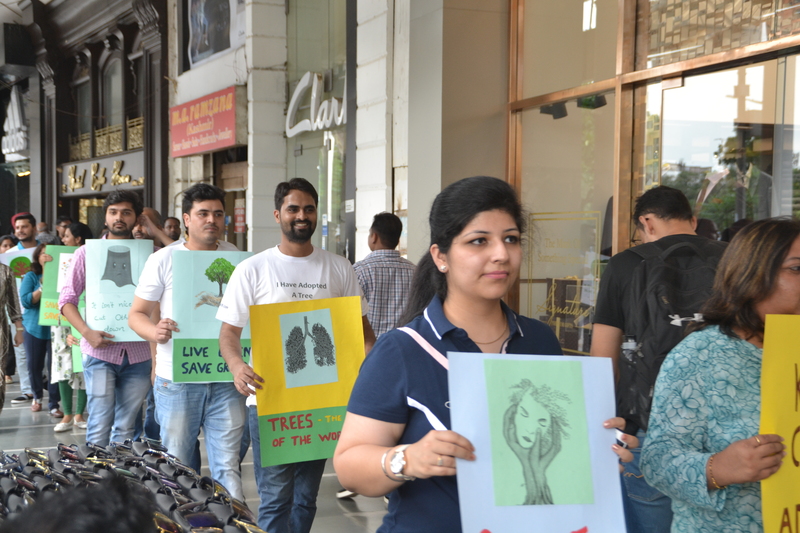 100s of people, young and old, joined hands in forming this human chain and promoting “Green Delhi a Healthy Delhi”. With the growing population and increased development, Delhi is currently facing the worst environmental phase with soaring pollution levels. “We all have a duty towards our environment. It is in our hands to walk with an oxygen cylinder or to make things right for ourselves and for our generations to come. 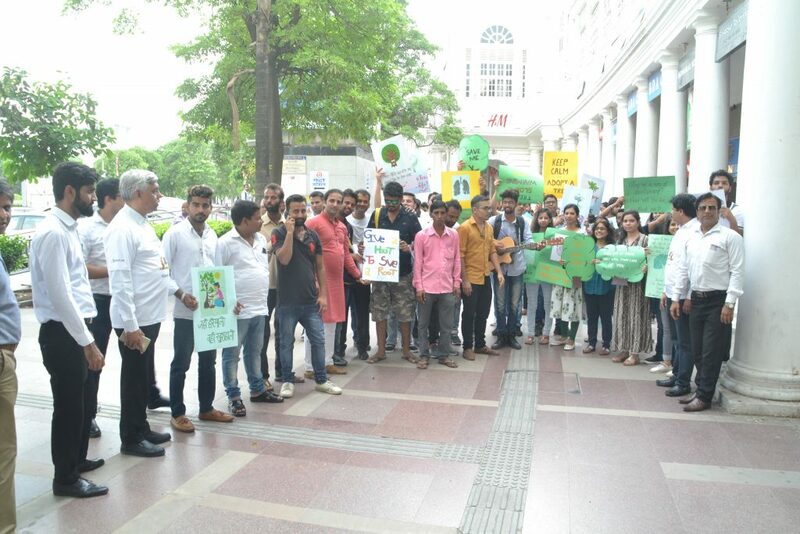 It is our aim to adopt trees and make as many people as we can to adopt more trees.” said Rakesh K. Sharma, Owner Sabakuch India LLP.